One important consideration when buying a house is whether the ownerships agreement is ‘Freehold’ or ‘Leasehold’. They are two distinct forms of property ownership, affecting your rights and the cost of buying, selling and maintaining your home. Here we’ll examine what each ownership agreement entails and the many inherent financial implications, so you can make an informed decision. Owning something in freehold means you own the building and the land it stands on in perpetuity. Freehold is the most preferable option because there is no limit to your ownership and your successors can inherit the property without impediment. Most houses tend to be sold as freehold, as there are clear land boundaries. However, not all houses are freeholds. There are exceptions to this rule so it’s important to know the difference. Bear in mind you’re not just buying a property, you’re also buying the land, so it’s usually a small price to pay, also you won’t have to pay ground rent or service charges. Provided that the dream extension, new patio or paintwork overhaul adheres to any planning restrictions – you have free reign. This can add significant value to your property and therefore freeholds can be more suitable for residential properties. It is your sole obligation to ensure that any structural maintenance works are carried out in a timely fashion. This demands diligent saving to ensure there is always enough in the kitty for any unforeseen repairs. A freehold property will, in a good property market, appreciate in value. A leasehold property can become unmortgageable if the term of lease remaining falls below a certain level or will incur the cost of a lease extension which varies according to each property. Owning something in leasehold means you don’t really own it at all. You are simply renting it on a lease from the freeholder (or landlord) for a defined period of time. Most leaseholds usually last from 40 to 999 years on new build leaseholds, and this can be extended by agreement with the landholder at a specified cost. Once this period expires (and is not renewed) the property reverts to the owner. If you have large communal gardens, lounge areas or lifts, for example, your service charges are likely to be very high. 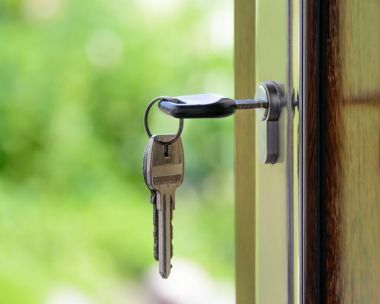 Leaseholds may be cheaper to purchase than freeholds – and indeed can make good short-term investments – but they involve ongoing costly charges and maintenance fees, so it is worth accounting for these alongside your mortgage payments while looking at your budget. Leasehold properties tend to have certain restrictions stipulated in the lease. This may mean you are unable to make certain renovations to improve the property’s value or be unable to sublet this property for second income, so it is worth getting a copy of this before purchasing. The landlord is responsible for maintaining and running the building and leaseholders are expected to pay their share towards these costs each year. If you have large living areas and gardens, your service charges are likely to be high. You may also be asked to pay into a sinking fund, to help build up money to cover future unforeseen maintenance costs. A lease under 70 years may be tougher to sell, as it’s hard for buyers to get a mortgage for a property with a short lease. You can ask the landlord to extend the lease at any time – by 90 years on a flat or 50 years on a house, but this comes at a cost dependant on the property value and lease length so make sure you take this into account when considering the property’s future value. It’s always best to clarify what the ownership agreement is at the time of viewing the property, so you can assess its true value and act accordingly. Here at IMC we have been advising our clients about freehold and leasehold mortgages for over 20 years. We can help you, too. Our experts are always on hand to discuss your next mortgage, so you can be sure you take your next step with confidence.